On April 14th the first in-depth hearing took place of how Bulgaria and Romania are dealing with the Cooperation and Verification Mechanism (CVM) created to ensure their EU accession on 1 January 2007 unprepared. 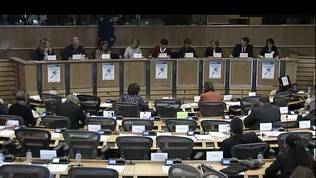 The hearing, as euinside wrote, took place in the budget control committee of the European Parliament. According to euinside sources, the work on the preparation of the several-hour long event was almost undercover as the resistance against it was huge. In an interview with euinside, the committee's chief, Ingeborg Graessle (EPP, Germany), known in Bulgaria for her criticism, admitted that she had difficulties with the organisation of the hearing. "I regret that it is impossible to talk in a more neutral and objective way about what these member states need because it is clear that they have more problems than the rest", she said. Ms Graessle recalled that she has been interested in the CVM for years. According to her, it is odd that so little attention is paid to the progress of the two countries. Romania is not moving at all, in her words, whereas Bulgaria is even deteriorating. Both countries are much lower than they were on the day of their accession. That is why, the issue of the CVM needs to be raised and to ask whether its efficiency should be improved. EU has already drawn many lessons from the work of the CVM which shows that it is worth fighting for it to stay, the German MEP said, because this would encourage the reformers in both countries. Her assessment of the hearing is that, indeed, there is a difference between Bulgaria and Romania. In the beginning, Ingeborg Graessle remembers, it was very difficult to organise such things with Romania than with Bulgaria. She has the impression that the Bulgarians are much more committed to reforms but ... just in words. During the hearing she was shocked that many of the Socialists attacked the entire CVM, the special prosecutor for the fight against corruption in Romania and even the non-governmental organisations. "But still, this is a good sign because it proves things are moving and the Mechanism is efficient". Ingeborg Graessle was shocked by another thing too. 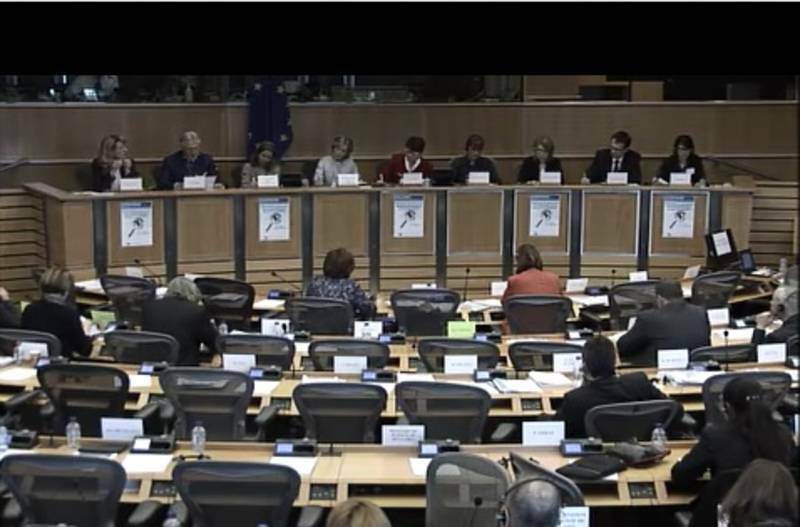 During the part on Bulgaria, MEP Iliana Yotova (S&D, Bulgaria) said the CVM should be abolished because no one was reading the reports anymore because no one was interested in them anymore. "If that is true, this is dramatic. I don't think it is true. At least because the reports are also an instrument of the EU to assess the situation. So, it is not true that no one is reading the reports in the EU. I read them every year and I'm following them". Asked what does she think about European Commission chief Jean-Claude Juncker's commitment the CVM to be abolished by the end of his term, Ingeborg Graessle was confused for a few seconds probably because Mr Juncker is of her political group - EPP. She hoped that work on the Mechanism will continue as now - first to assess what has been achieved and only then to decide whether to abolish the CVM or not. "I don't think this was a commitment in the sense 'we will abolish it'. This was rather a promise to check if the mechanism can be abolished". To the question does she plan more hearings like the one on 14 April, Ms Graessle was sincere: "I'm not sure my nerves will hold but this is something we need to do". While I was speaking to Ms Graessle in Strasbourg, in Sofia the authorities showed how necessary it is the CVM to stay in force until it achieves its goals. At noon, police and private judicial enforcers stormed the private TV7, for which it is claimed that it is owned by the exiled oligarch Tsvetan Vassilev. The storming was because of debts to the bankrupt Corporate Commercial Bank (KTB). All these developments have again revealed the lack of everything the CVM stands for. It also showed something the Commission has not yet criticised in the Bulgarian reports but has in the Romanian reports - the dependence of media.